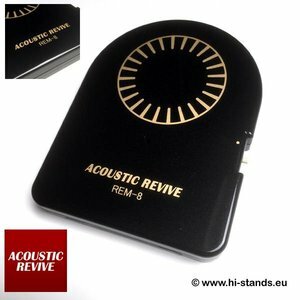 Acoustic Revive REM-8 - Hi-Stands webshop! Strong electromagnetic waves emanate from power supply transformers inside of audio equipment. They have a negative influence on circuit boards and internal wiring, as well as neighboring components and cables, which destroys sound quality. In some equipment, power supply transformers have shielded covers or a power supply unit housed in a separate chassis. In most cases, the magnetic field passes through the shielding and equipment housing. Unfortunately, until today, there were no measures to mitigate or avoid such problems altogether. The REM-8 releases an electromagnetic wave generated by its original print coil and circuit. Due to its revolutionary concept and structure, the electromagnetic wave released from the REM-8 cancels any electromagnetic waves emanating from the transformers of components in the audio system. The REM-8 is very simple to use. Just place it underneath the componentﾕs power supply transformer without any contact. 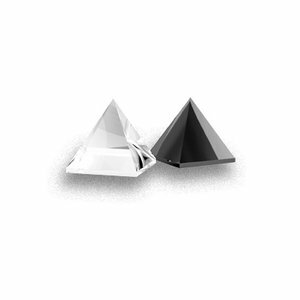 It will neutralize harmful electromagnetic waves, canceling their negative influence on equipment and cables. It will dramatically reduce noise, improve sound imaging and remove electronic glare, resulting in a very natural, realistic sound quality. 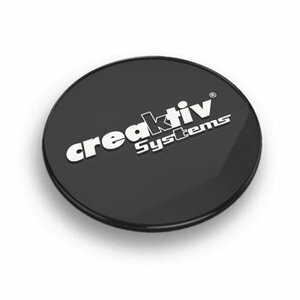 Also effective on isolation transformers & noise reduction transformers! The REM-8 EMF Canceller also has a superb effect on specialized components such as, isolation transformers and noise reduction transformers. Most isolation transformers and noise reduction transformers have huge power supply transformers compared with those in audio components. So there are very powerful electromagnetic waves emanating from these particular transformers, which degrade their performance. Not only that, but those very components whose purpose is to improve sound have a negative effect on surrounding components due to electromagnetic field radiation. Placing the REM-8 underneath isolation and noise reduction transformers will neutralize their electromagnetic waves and will reveal their full potential. If this problem is solved on these components, you can expect a huge increase in sound quality throughout the system. Effective on vacuum tube amplifier output transformers too! 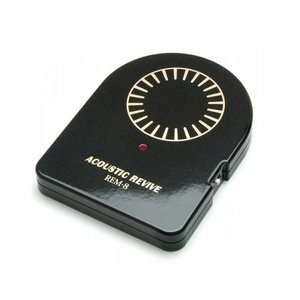 EMF Canceller REM-8 has a superb effect on amplifiers with output transformers such as vacuum tube and Mcintosh amplifiers. On these kinds of amplifiers, the REM-8 not only has an effect on the power supply transformer, it also has an effect by placing it underneath the output transformer. Any electromagnetic wave from the output transformer will be neutralized and cancel any negative influence on the surrounding circuit. Improving the performance of output transformers will lead to a dramatic improvement in sound quality. Equipment with switching type power supplies will also improve! Recently, components employing small high efficiency switching type power supplies, rather than large power transformers have come into vogue. The REM-8 has a huge effect on this type of equipment. Switching power supplies release a very large amount of electromagnetic waves, just like huge power supply transformers, but they also scatter powerful electromagnetic waves, which further deteriorates the performance of other circuits and components. Just place the REM-8 underneath, near the switching power supply circuit. 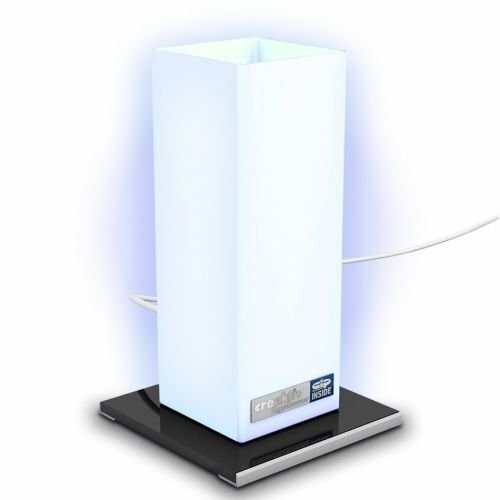 It will eliminate noise and the unnatural shimmering sound, characteristic of switching power supplies. 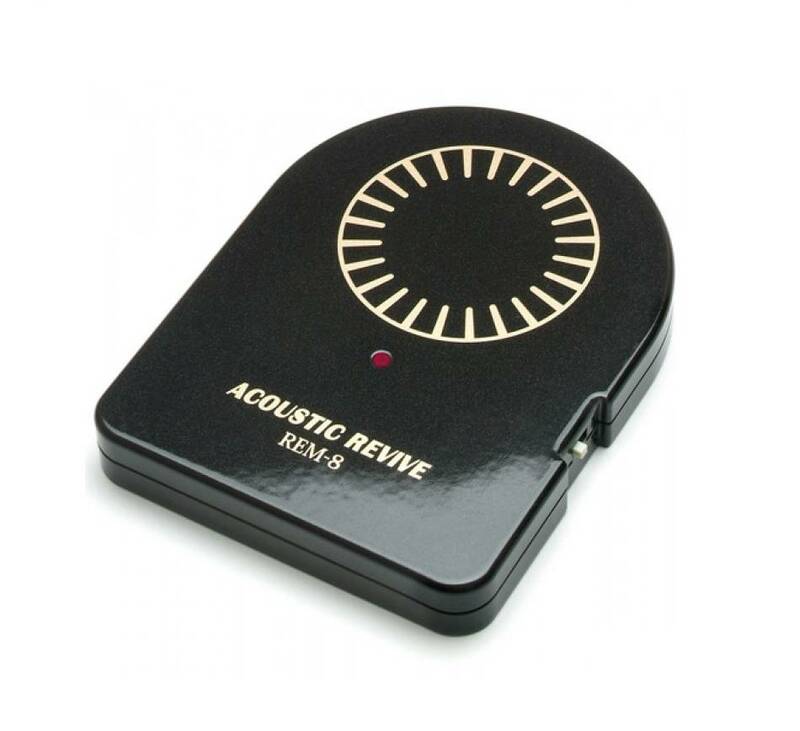 Noise is reduced dramatically and the sound will become very smooth and realistic. Superb effect on video equipment too! REM-8 also has a superb effect on video equipment such as, projectors, Plasma TVs, DVD players, DVD recorders and BlueRay players. On projectors or Plasma TVs, just place the REM-8 near their power transformers or stick it on using Velcro or two-sided tape. On DVD recorders, DVD players and BlueRay players, place the REM-8 underneath or near the power supply unit. 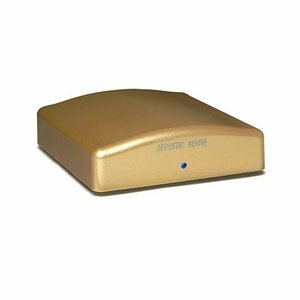 This will neutralize the electromagnetic waves emanating from the power supply and stabilize the video circuit. This will lead to an improvement in the S/N ratio, color saturation and contrast ratio.